Ardour is a professional, full-featured hard disk recorder and Digital Audio Workstation (DAW). 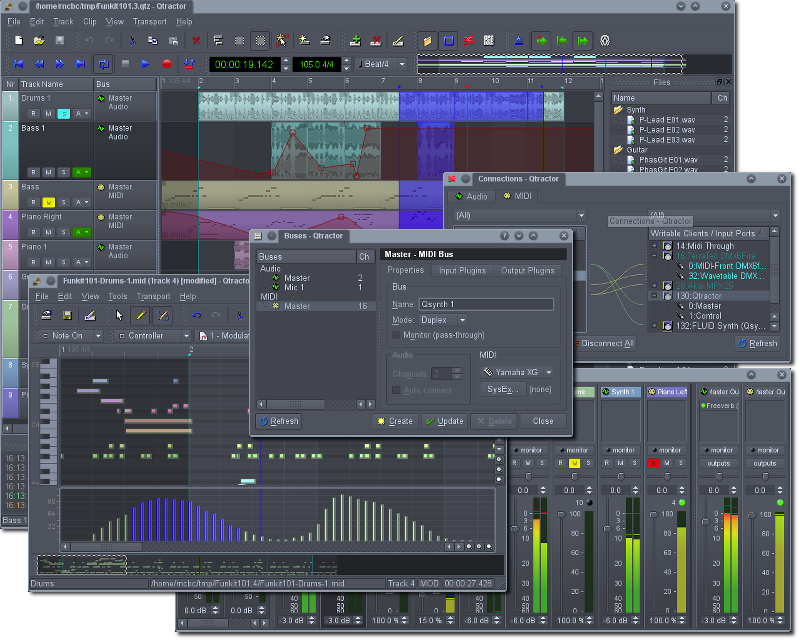 Ardour is Free/Libre Open Source Software (FLOSS). It features unlimited audio tracks and buses, non-destructive, non-linear editing with unlimited undo, and anything-to-anywhere signal routing. It supports standard file formats, such as BWF, WAV, WAV64, AIFF and CAF, and it can use LADSPA, LV2, VST and AudioUnit plugin formats. 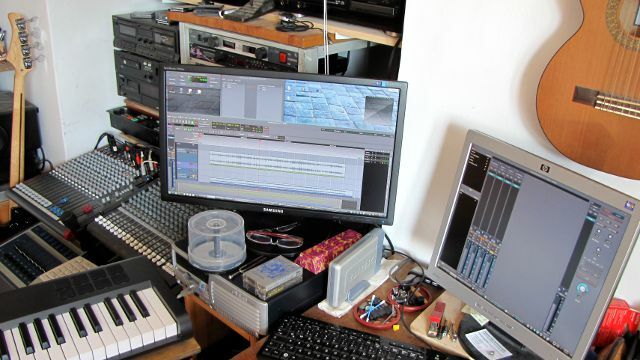 Ardour runs on Linux and Mac OS X (for Windows, read this), and optionally uses the Jack Audio Connection Kit (JACK) to interface with the computerâ€™s sound card, as well as with other audio applications running on the same system. More information on Ardour can be found at http://ardour.org/. Qtractor can handle your MIDI and Audio tracks with sample-perfect precision, present you with a state of the art, industry standard mixer, complete with complex routing and effects, and allow you to record, mix and master your song all the way to the final bounce to a standard stereo recording tool. But this is not what we are going to do today. Today, we are just going to get our feet wet. At the end of this session, you should have a drum track, that you can duplicate to create any other MIDI track, and an audio track, that, using the same technique, you can use to record any other audio source. Then we will move around the Qtractor timeline, play, pause, loop, setup some preferences, and export our work out to the joyful, honest and downright wonderful world of show business.